One of the things that discovered here in Peru, was the Chinese Box. Reading a bit about this beautiful artifact I found that it was created in Cuba in the 1850's and was distributed across many countries in the Caribbean at that time. You can find more information here. For the holidays of the new year, my grandmother in law bought this box and asked me to take care of the new year's dinner. She knows how much I love to cooking so, I was ready for this new challenge. 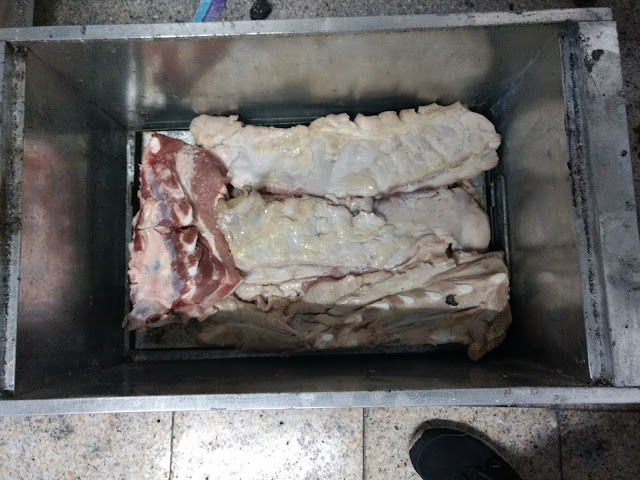 I never used one of this boxes in my life before, so I started to look on the internet (youtube, google, cooking blogs, etc), about techniques and recipes related to the Chinese Box. 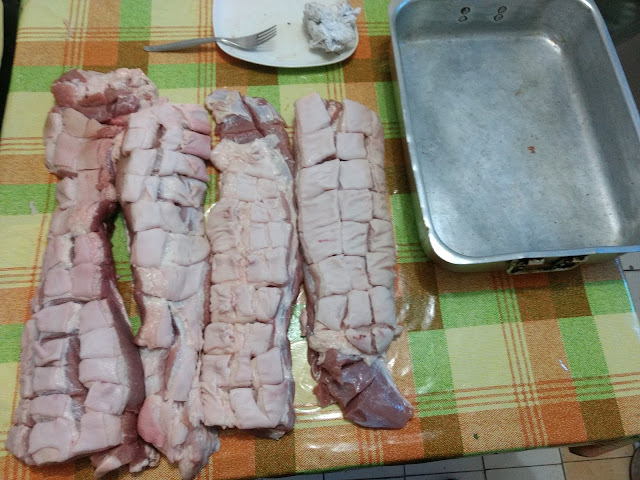 Searching on the internet, I found that one of the favorite types of meat used for this technique was pork, so I decided to follow that direction. First we need to prepare our meat, the type chosen was the belly (in Peru it's called Panceta). We start to make some cuts in the skin so we make a nice grid. Second, we need to prepare the fire (this can be done before or after we prepare the meat). The type of charcoal used was the regular we find on the supermarket. 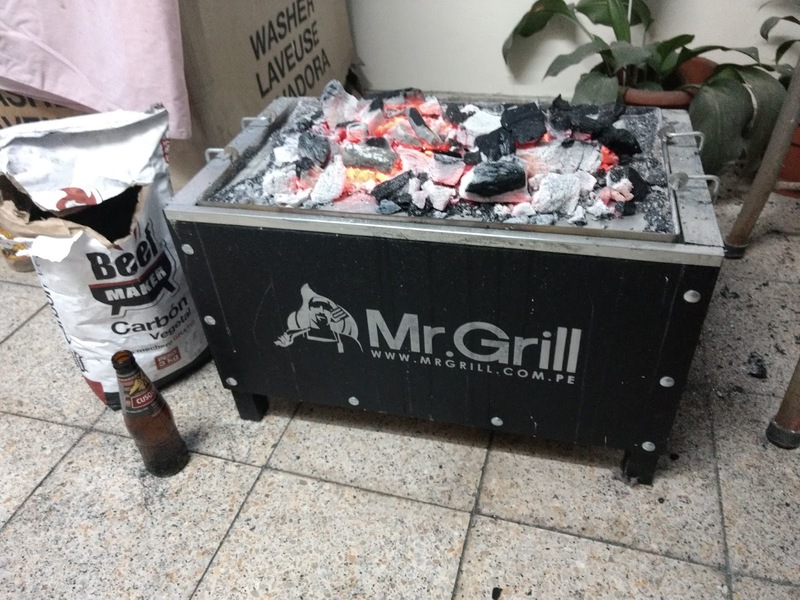 We need to make the charcoal to consume, so all the carbon monoxide is gone and we get a high temperature on the box. 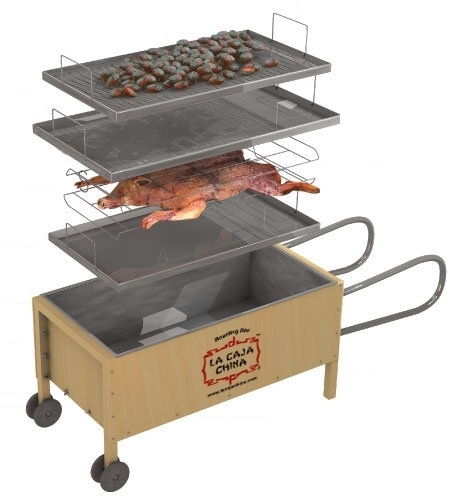 We open the box and remove temporally the tray with the charcoal and we put the meet (then we retun the tray with the charcoal), first from the side of the skin, for 45 minutes. Then we repeat the process, but from the other side, for 45 minutes more. 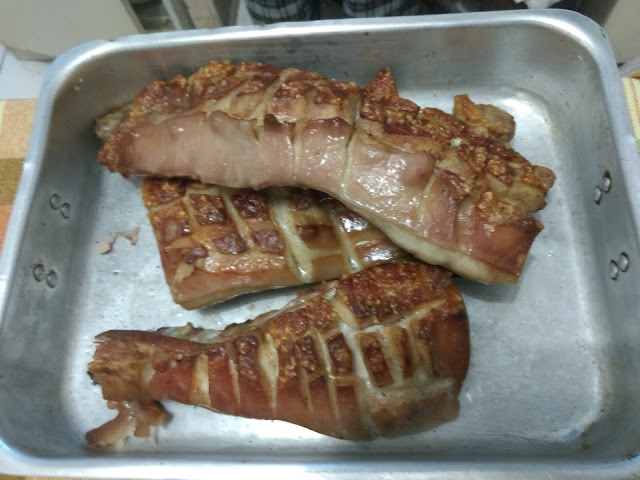 We can get a crispy pork, tenderly done with an excellent flavor !!! - This cooking technique is amazing. Pretty simple and with excellent results. - If you want to add some extra flavor you can marinate the meet. In my case, it was my first time using this box, so I decided to use just plain salt. - There are different sizes, design, and budgets, but the concept is the same for all the boxes.